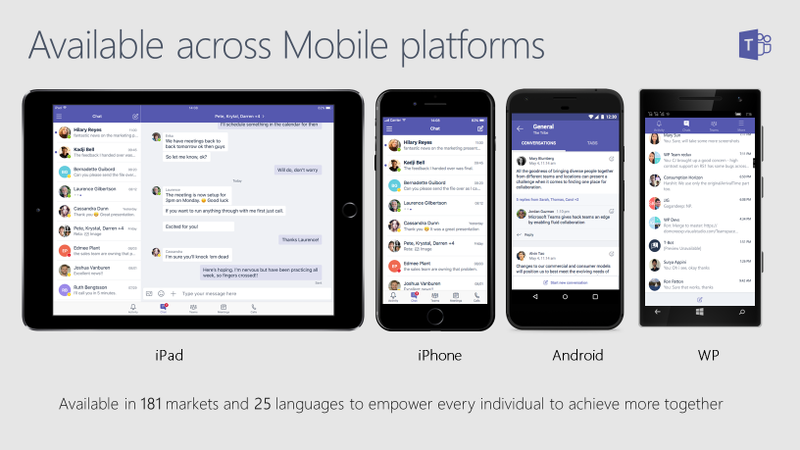 Microsoft Teams was launched in 2017 to provide a unique digital hub for team management in Office 365, and it’s already booming in the ever-crowded market of group messaging apps. But the Microsoft Teams mobile app has taken things a step further to organize all of your team conversations, tasks, content, and apps in a single shared workspace that you can take with you on the go. 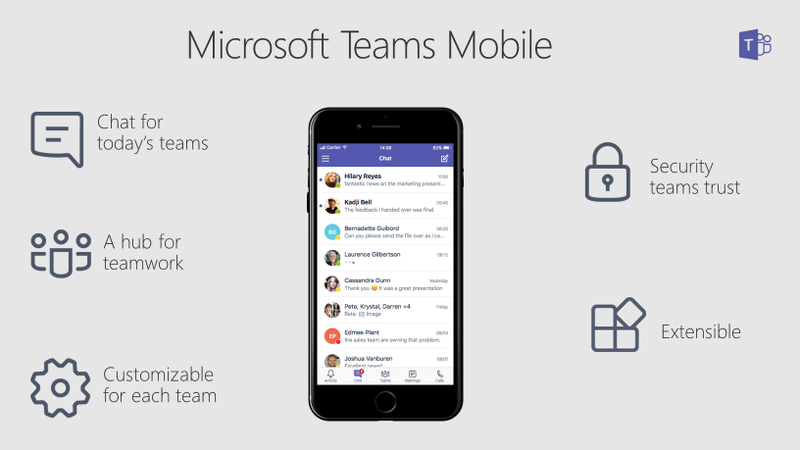 Let’s go through a quick overview of the Microsoft Teams mobile app. Microsoft Teams was designed to solve many of the problems that businesses face with managing shared work and communications. Simply put, Teams is a digital hub for teamwork—a single workplace where you can chat, share files, hold meetings, and work in real time via business apps. Using this powerful tool, you can build teams of 10 or 10,000 and perform a multitude of functions—like host audio and video web conferences with anyone inside or outside your organization. It can also be used to conduct online meetings and group chat. 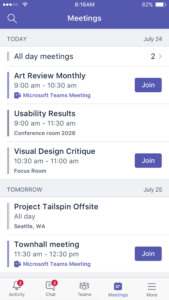 Using the Microsoft Teams mobile app, you can access all your team contacts, content, conversations, apps and meetings right from your mobile device, anywhere and anytime. To use the app continuously, you need a paid Office 365 commercial subscription; however, you can sign up for a free trial subscription. iOS operating system version 10.0 or later. Compatible with iPhone, iPad, and iPod Touch. Android operating system version 4.4 or later. Develop effective communication by getting the entire team on the same page with online meetings, audio/video calling, group chat, and web conferencing. Stay on top of your business by customizing your digital workspace with Microsoft apps and third-party services. Make reliable and clear audio or video calls by integrating Teams with your phone system, direct routing, or calling plan. Work together better. Seamlessly collaborate or manage your team’s projects using Office 365 tools such as Microsoft Word, PowerPoint, Excel, and SharePoint. Build dedicated channels to communicate with your entire team on a single shared workspace, or chat privately or in specific groups. Keep your team secure with end-to-end administrative control, security, and compliance from Office 365. Quickly find your team conversations and chats with a simple search interface. Save business-critical conversations or customize notifications as needed. Team members can seamlessly schedule channel meetings right from the mobile app. Users now need a team code to join a team. The search tool now lets users search for files across all channels. Microsoft is also planning to make Teams the default app for scheduling meetings in Office 365. For business use, the Microsoft Teams desktop version work well if you have regular access to your computer. But when you’re traveling, you can hop right on your mobile app and stay in touch with your team. The Microsoft Teams mobile app is a great way to build a digital, on-the-go workplace where team members can communicate, collaborate, meet, share and do much more right from their mobile devices. For more information, be sure to check out Microsoft’s support article or our blog on How to Boost your Office 365 Sales with Microsoft Teams.